Timelapse. 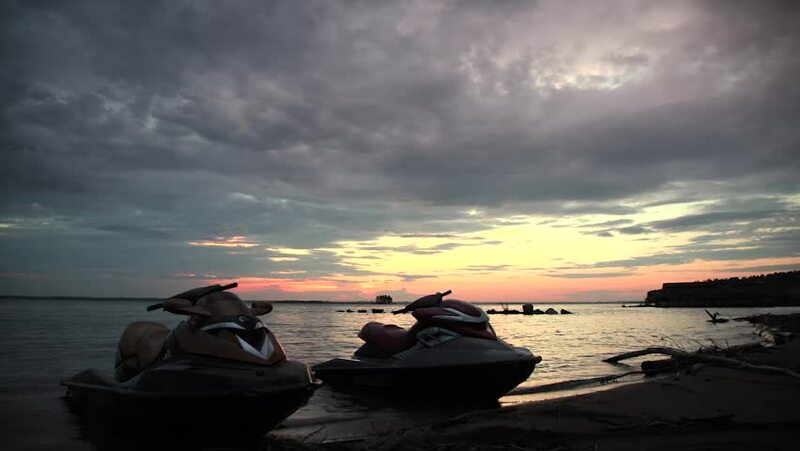 Two jet ski standing on the shore in sunset rays. hd00:32Seascape. View of seascape during morning with wave hit the seaside rocks. hd00:25Young woman practicing yoga on the beach. 4k00:09LOUISVILLE, KENTUCKY - AUGUST 1959 - Men fishing in a classic single hull aluminum boat. hd00:11Young girl with smartphone against beautiful sunset at the Tel Aviv beach.